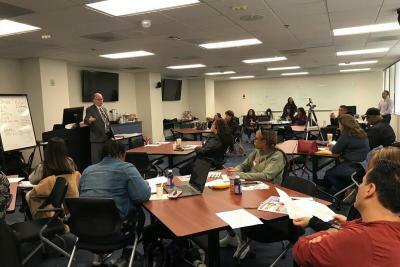 Providers came together in San Bernardino to learn about important changes for 2018 taxes. 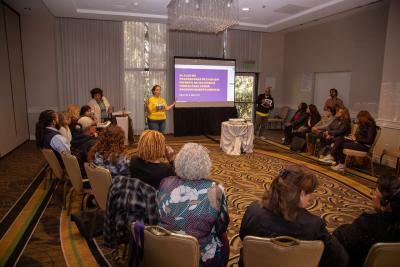 Our annual tax preparation workshop brought valuable insights for family child care providers to get the most out of their annual income taxes. Don’t forget to file your taxes before the deadline - April 15. Here are some valuable tips from our workshop. Attorney Janice C Mendel has defended providers for almost twenty years in the family child care business. 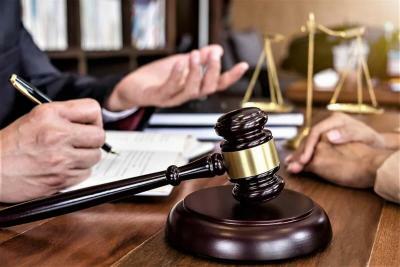 Read her tips to stay in compliance and prepare for what Licensing will focus on during their visits in 2019. California’s Department of Social Services - Community Care Licensing has proposed new Safe Sleep Regulations for child care facilities in California. The regulations are proposed to reduce the risk of unsafe sleeping environments. These regulations will support preventive measures to lower the risk of SIDS. Here is a summary of the proposed regulations. As we continue to move our bill, AB 378, or the Building a Better Early Care and Education System Act, through the legislative process we are working hard to ensure our elected officials are with us every step of the way! 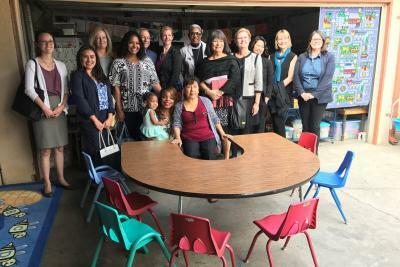 This February three California Assemblymembers walked a day in the shoes of family child care providers to experience first hand the incredible work we do every day to raise California’s next generation. 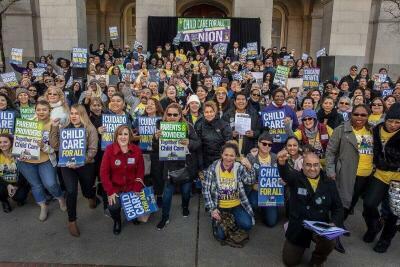 Family child care providers, other SEIU members, parents, and their children spent the day in Sacramento to talk to legislators about the recently unveiled Assembly Bill 378, or the Building a Better Early Care and Education System Act. 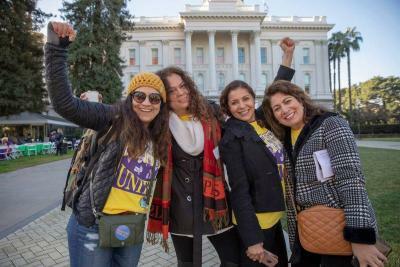 AB 378, authored by AssemblyMember Monique Limón, will allow family child care providers to have a strong voice to improve early education by granting them the same rights every work across the country has -- the right to collectively bargain and have a union. 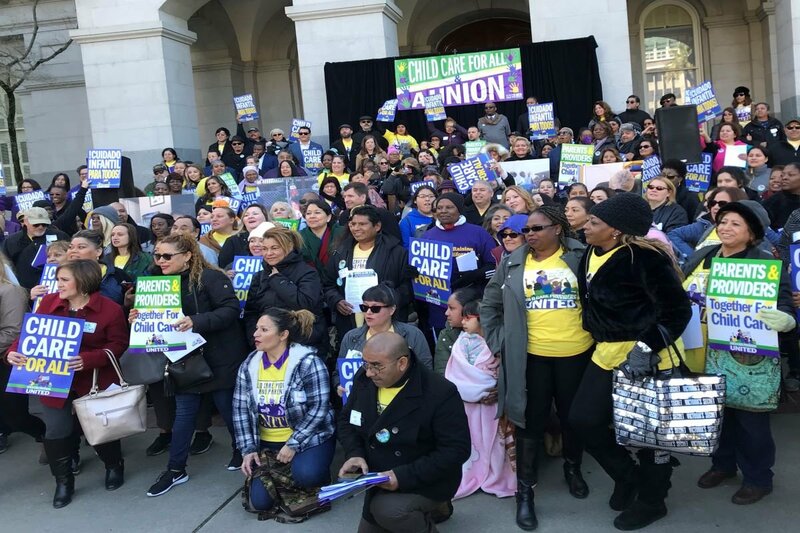 Hundreds of family child care providers from across California visited Sacramento to speak to legislators about AB378, a bill that would allow dedicated early educators the right to unionize and negotiate with the state. 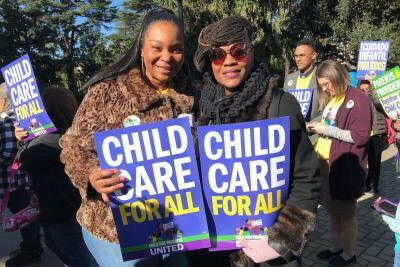 Eleven other states already have granted child care providers the right to collectively bargain and make improvements to their child care system.